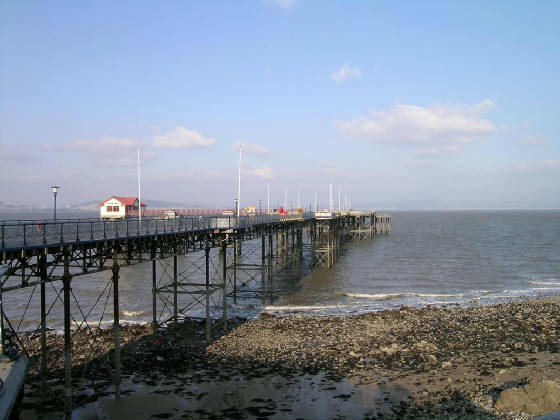 There are 3 main areas in Mumbles that we will be concentrating on, these are Knab rock, the pier and the lighthouse. All can be very different and have distinct advantages when fishing. Knab rock is situated on the way in to Mumbles the beauty with this spot is you can fish from the boot of your car. Knab rock is just a piece of the promanade that sticks out into the water. Can get busy in summer months especialy at night when the pier is closed. Fishing over rock/sand tackle losses are minimum. The pier is a great area to fish it has its own fishing area located at the end of the pier. Unfortunatley it isn't open at night, again busiest in summer months but can be packed all year round if the fishing is good. Fishing mainly over sand/rock, as with all piers casting close to the structure itself can give best results. The light house is another top spot, access is at low water, NEVER atempt to get to the lighthouse if the water is over the top of the rock causeway. Fishing mainly over rock/sand if your facing the pier or mainly sand if fishing the back of the island (east). As with the marks above bigger tides give the chance of better fish. Holding bottom shouldn't be a problem as long as your equipped with 5-6oz weights. A mulitude of species can be caught from these venues but you can expect to catch mackerel, garfish, dogfish, black bream, gurnard, wrasse and bass in summer. Theres also the chance of the odd smoothhound or trigger fish. Cod, whiting and dabs in winter. Best baits include crab, sand eel in summer. Worm baits and squid in winter.